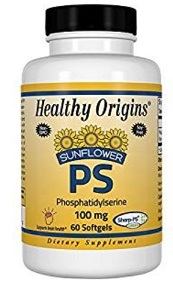 Supplementation with Sunflower PS may help to enhance cognitive focus, nourish brain cell membranes, support healthy cognitive function and support healthy exercise recovery. Directions: Take one (1) softgel up to three (3) times daily, or as recommended by a healthcare professional. Other Ingredients: gelatin, glycerine, purified water.